Stomach cancer belongs in the top five among cancers in the United States in terms of being the most common with an average of almost one million people dying from it annually. It also represents about 2% of newly-diagnosed cancers in the United States, though the incidence rate in Iceland, Japan, Korea, and South America is a lot higher. The most likely ones to develop the disease in the United States are Africans, Hispanics, and Pacific Highlanders. Asians are less likely to suffer from it. Though its incidence in the United States and in Western European countries have gone down significantly over the years, it still is one of the most common cancers in several others. Stomach cancer is extremely capable of spreading the disease to other neighboring major organs at a ridiculously fast pace. 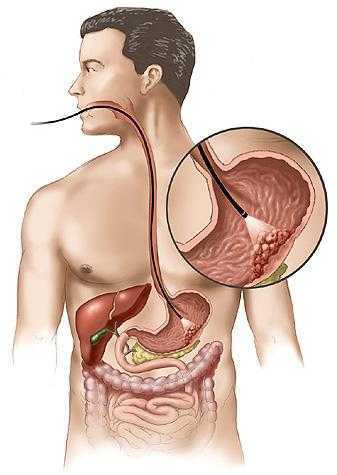 The normal pattern it goes through is the tumor growing through the outer layer of the stomach and it almost automatically grows into the esophagus, intestine, or pancreas. The cancer cells will then go to the bloodstream and infect the liver before it goes into other organs. The lymph nodes may also be involved since the cancer cells would pass by the lymphatic system. Old age - People who are fifty years or older possess a very high risk, peaking at the age of 72. Genetic predisposition - Cancer generally is a hereditary condition. Those who have a family history of cancer are 10 percent more likely to develop cancer in the future. Gender - Women are less likely to get it than men. Helicobacter pylori infection - H. pylori is known to trigger stomach cancer. Diet - Eating smoked food, pickle and salt can precipitate a person to the disease further. Though its symptoms appear at an “appropriate” time, stomach is not an easy cancer to diagnose. The main reason is its manifestations are extremely similar to other medical conditions - making it very prone to being misdiagnosed. The worst part about it is only when the cancer has already spread to other organs will the diagnosis become accurate. Therefore, the prognosis for stomach cancer is usually poor and there is very little all treatment modalities can do to improve the prognosis. Only 20 percent of stomach cancers are properly diagnosed before it begins to metastasize to other parts of the body. As with the majority of other cancers, a series of exams will be conducted to determine if cancer is in fact present. The following will be performed in almost the same order: comprehensive physical examination, complete history taking, gastoscopy, biopsy, and staging. At times, imaging studies such as Ultrasound, CT Scan, MRI, and PET Scan would also be done. As mentioned earlier, very seldom will stomach cancer be caught during its early stages. Worse, it is also extremely hard to manage during its late stages - much like any other cancer. Prognosis is normally very poor for stomach cancer and it does not appear to improve any time soon. There has not yet been a way to quickly catch stomach cancer so its considered a death sentence to anyone who develops the disease. The first thing being done to treat stomach cancer is performing surgery. The objective is to surgically remove all of the cancer cells including some of the healthy tissue surrounded by cancer cells. During this process, other vital organ might also be taken out depending on the extent of the cancer’s metastasis. During advanced cases, the best thing surgery can do is relieve some of the pain being felt since it only has a 40 percent chance of working. Surgery is then often followed by chemotherapy and radiation therapy in an effort to kill all remaining cancer cells and reducing the chances of further metastasis. Both the therapies work most effectively when given before AND after surgery. Stomach cancer still does have some preventive measures that you can follow. Diet modification is the major focus attempting to lower you stomach cancer risk (and any other cancer). Processed meat like bacon, hot dogs, salami, and sausages contain a considerable amount of cancer-triggering toxins in nitrates and nitrites. This is why the intake of these should be cut down or fully avoided. Cigarette smoking could also precipitate cancer so one should stop either stop smoking or not even think of starting to do it. Once symptoms become persistent, immediately go to your doctor. As repeatedly said, early detection is the key to a good prognosis in treating stomach cancer.